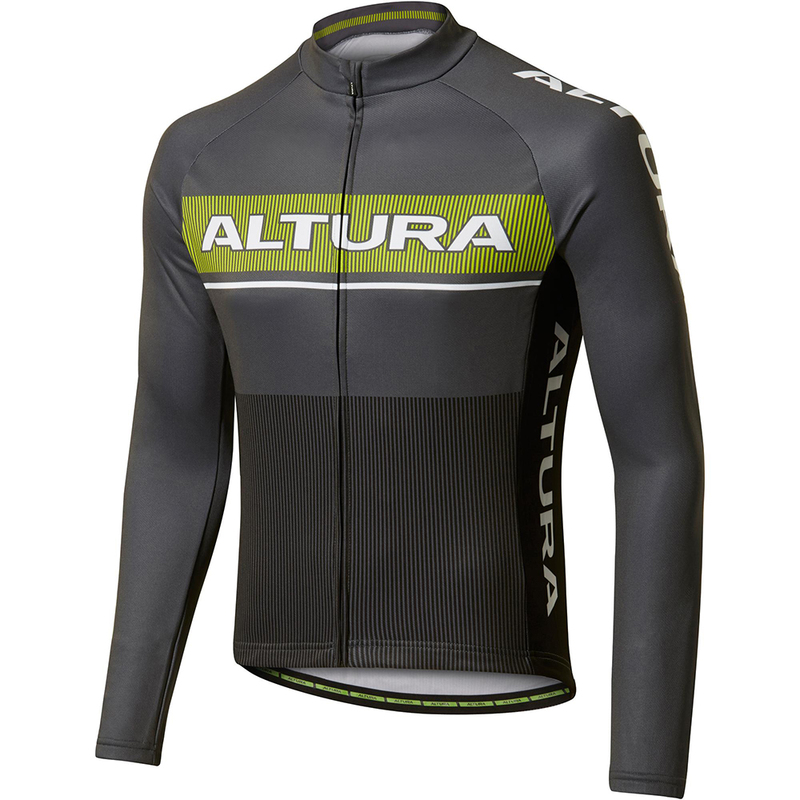 The Altura Strada long sleeve jersey provides comfort and performance during long hours in the saddle. Featuring Altura Thermo™ technology the Strada is made from thermosuede fabric to keep you insulated and warm without overheating keeping you dry and comfortable. Great jersey and warm. Impressed with the quality. Price was fantastic!! Great shirt, warm and fits well. Makes even old fat blokes look good, at least that is what I like to believe. Excellent quality long sleeve top, ideal for autumn or under an outer top in winter. Comfortable material and an attractive design. Got this in large, I am 6' and 13 stone, perfect fit. I have ordered Size L and it is a little big for me. Usually it is the right size. Even though it feels comfy and warm. Have the long sleeve in black and green. I love it and will like this one as well as the weather becomes cooler. Looking forward to wearing it. XL is a good fit 5'9" 220. Great jersey for 40-60 deg F..
A good quality jersey at a great price, I took the opportunity and ordered two. Very Happy. Great price, fantastic delivery and amazing product. Sizing was perfect. Worn it a few times and while not a winter item, it is sufficient in 10 degree celcius riding. Would recommend to anyone considering this product. Well done Merlin. Was very impressed with the quality of this jerseyat a great price. I am 44 across the chest and 185lbs. Perfect fit with the XL. Nice fit and comfy. Nice item for the price. This LS jersey was brought at a great price, and I have no complaints, as it is well made and is more than adequate for the sportive/audax rider. Bought a pair of these lovely tops for myself and my son. Good fit and feel and very high quality for the sale price. Warm and functional with the bonus of (nearly) retro-colours. Highly recommended. Great value for money for a quality jersey. This is not a full winter top, but mid-season wear. Beware of the sizing - go one size smaller than your usual Italian clothing (I'm an Italian L and on this it was M).